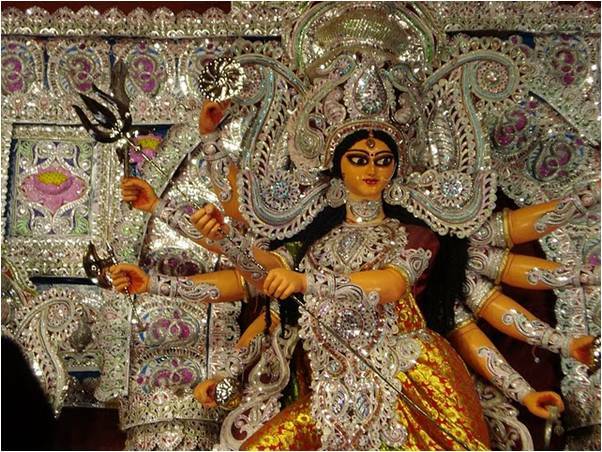 Bijoya Greetings to all of you and your loved ones. 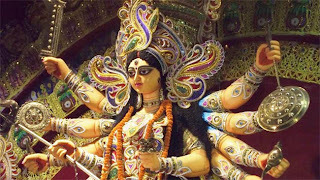 Bijoya is joyous occasion. Although a bit tearful in spirit as today is the day we bid adieu to Durga Ma and her children. BUT, Of course sadness was the predominant (and quite publicly noticeable) emotion when I was small. 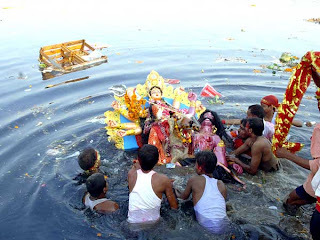 We used to be sad as it was the last day of the much awaited festival, the excitement which was carried in our little hearts for months in a row was ending. 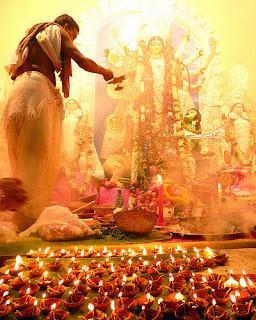 The ‘Visarjaans’ or the departure of the pomp and grandeur of the Durga Thakur deities meant going back to the routine. The end of buying bhelpuris along the footpath sides, back to wearing the school uniforms and catching the early morning bus to school …Hmmm…time to moan indeed. Bijoya was the time when we used to dress up in in our best Pujo clothes and hop from house to house touching the feet of all elders, curious to taste their Bijoya special delights and receive a platter of sweets or savories for us visiting kids. Rating the houses based on the cooking skills of the kitchen owner an important part of the game. Afterall we were the ones eating it all. 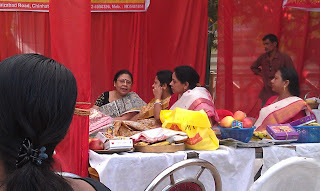 So how soon we visited the house after visarjan was directly proportion to how soft their nadus (coconut sweets)were. As a grown up now – we have Bijoya sammilani’s where all the families gather to exchange greetings and taste the festival sweets. This has indeed simplified the yesteryear's rituals, cutting short the greeting period to one day vis'a'vis over a month back then. The only thing that this common meeting place does not allow is rating the houses based on the quality of food. So taste spotting is a bygone ritual. 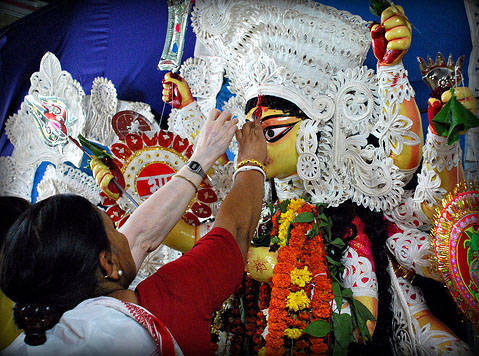 Let me just uplift the spirits by saying – asche bochor aabar hobe (meaning ma will come again next year). Till then- No matter where you are or how grown up you are now, whether or not you celebrate Durga puja or care for the symbolic victory of good over evil, I wish you a Shubho Bijoya and a festive Dusshera! A very interesting post, thanks so much. I don't know much about this sort of thing. I look forward to learning more. Great to meet you. Good day! This post couldn't be written any better! Reading this post reminds me of my old room mate! He always kept talking about this. I will forward this article to him. Pretty sure he will have a good read. Thanks for sharing! Thank ya'll for your lovely words.